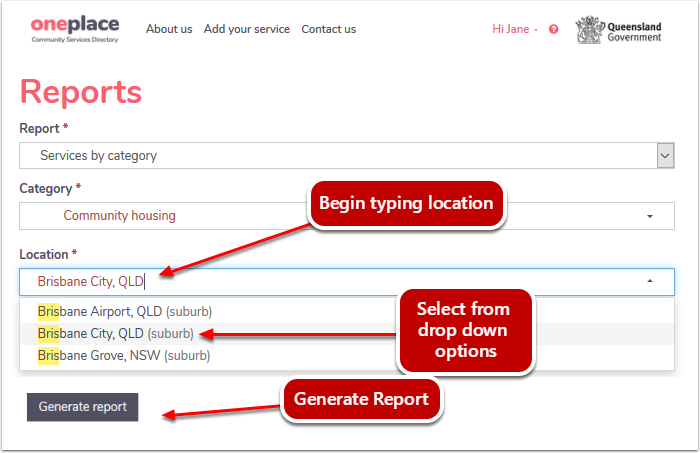 Logged in users of oneplace are able to generate a report on Services by Category for their organisation. Click on your login name and select Reports from the drop down list. 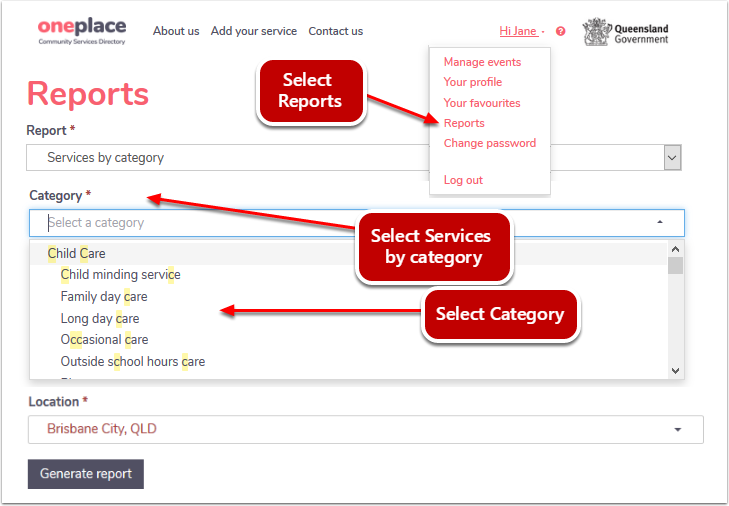 Select the the Services by Category report. 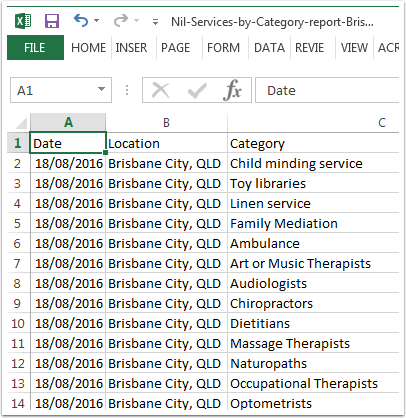 Select which Category or sub-category you want the report to generate the events report for. Start to enter a location and a drop down list will appear with a number of locations to chose from. Click on the location that is the closest fit. Once the report has been generated, click on the Download link. A pop up window will appear asking you to Open or Save the file. Open with Microsoft Excel by clicking OK. 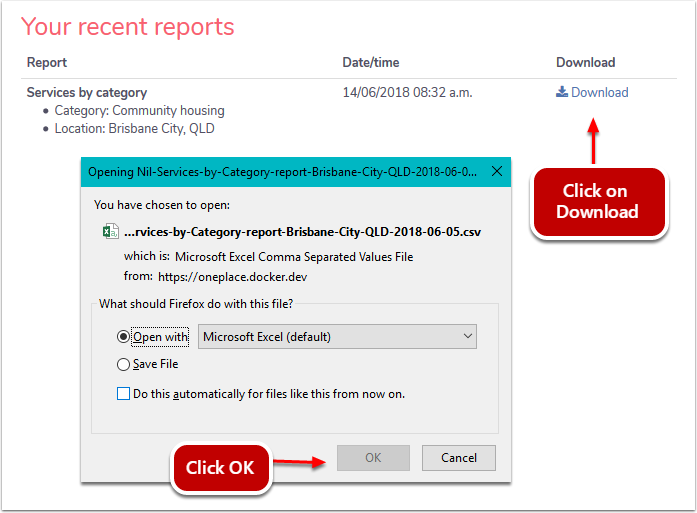 The report will display in Excel.